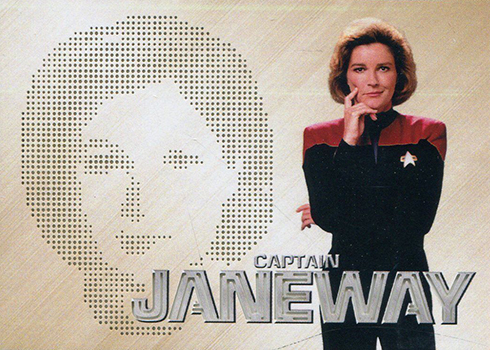 2017 Rittenhouse Star Trek 50th Anniversary trading cards take on the entirety of the TV franchise. That means it goes well beyond the Original Series, which was the focus of its own release in 2016. This time around, Captain Kirk and his crew are joined by the characters of The Next Generation, Deep Space Nine and more. 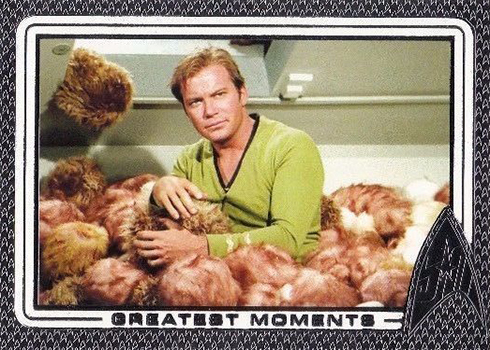 Although more premium than the typical set of Star Trek trading cards, autographs are still a major focal point with two per box. Each box also has a relic card. 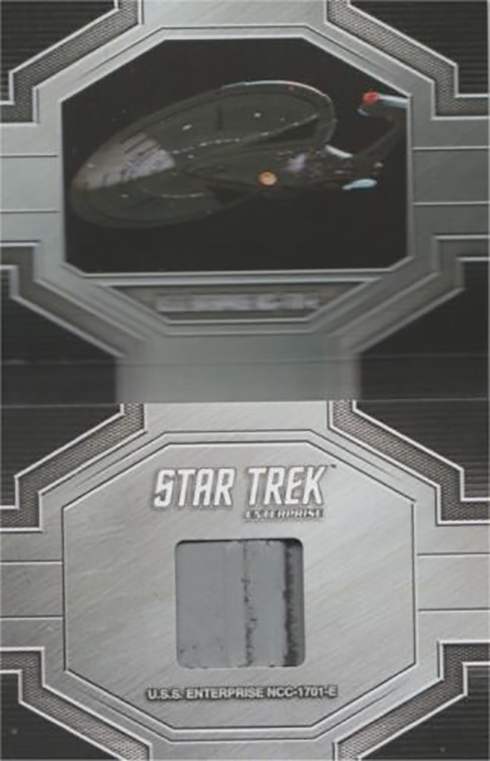 The 2017 Rittenhouse Star Trek 50th Anniversary base set has 101 cards. It highlights some of the best known moments from TOS, The Next Generation, DS9, Voyager, Enterprise and the movies. The entire set is done in an etched foil format. Printing Plates are available but don’t expect to find them in packs. As an 18-case incentive, dealers get a special Archive Box. Among its contents are the four plates used to produce one of the base cards. 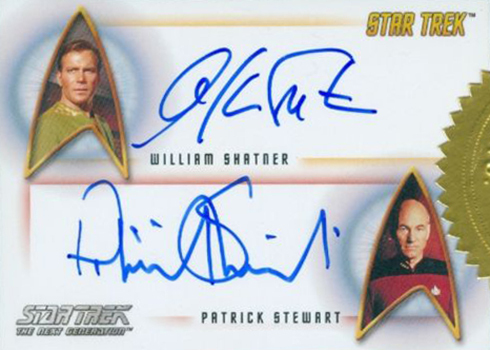 This is the first set of Star Trek cards to have signatures from all five of the captains from the various television shows: William Shatner (Captain Kirk), Patrick Stewart (Captain Picard), Avery Brooks (Captain Sisko), Kate Mulgrew (Captain Janeway), and Scott Bakula (Captain Archer). 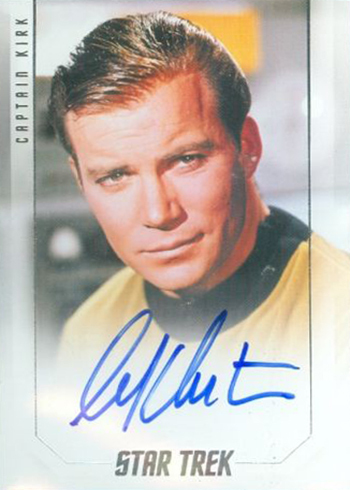 Not only that, but there’s one Captain Autograph per case. 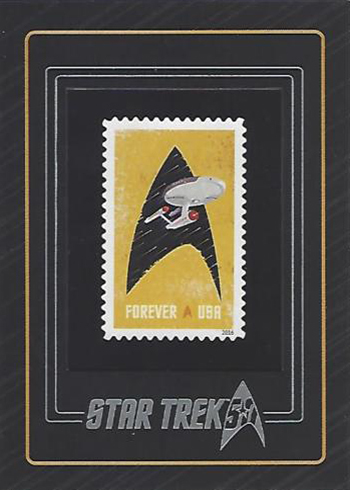 Other autographs use the design from 2014 Star Trek Aliens. 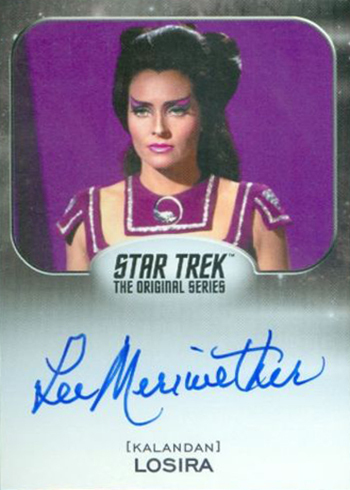 A total of 60 autographs are present including Jonathan Frakes and Lee Meriwether. 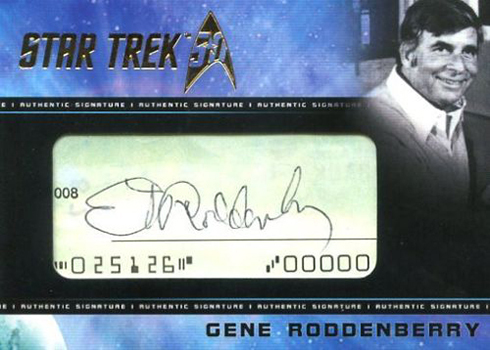 2017 Rittenhouse Star Trek 50th Anniversary also has randomly inserted Cut Signatures from Star Trek creator Gene Roddenberry, DeForest Kelly (Dr. McCoy) and Mark Lenard (Sarek). 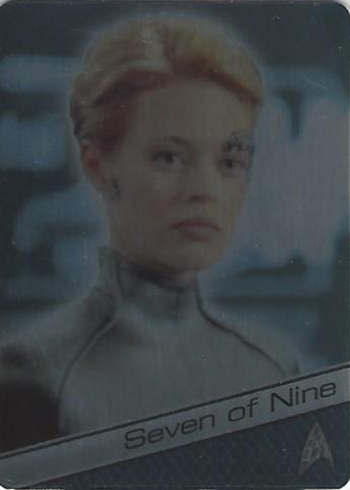 A dual autograph can be found in the set’s incentives. It features William Shatner and Patrick Stewart is available to those ordering nine cases. The Relic cards checklist features a total of 54 cards, making it tough to complete. In addition to these are six Dual Relics. While a lot of Star Trek sets come with a bunch of basic inserts per box, that’s not the case with 2017 Rittenhouse Star Trek 50th Anniversary. But that doesn’t mean the product itself avoids chase cards. In fact, it’s the opposite. They’re just significantly tougher to pull. 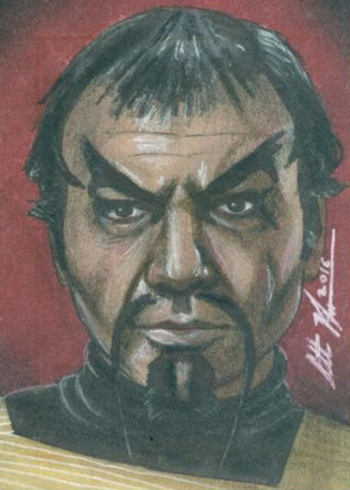 Star Trek Heroes (50 cards, 1:24 packs) is a character-based set done on metal stock. 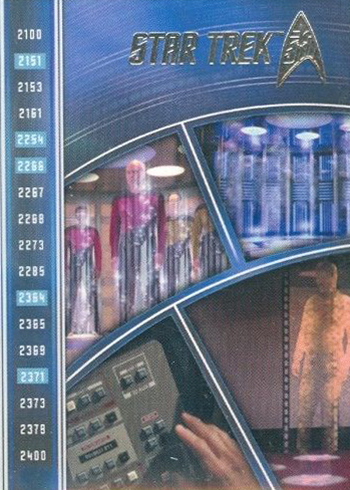 Star Trek ArtiFEX (50 cards, 1:12) is another set of inserts that centers on characters. However, these are done as portraits done by Emily Tester. The original art for these cards is randomly inserted in packs. 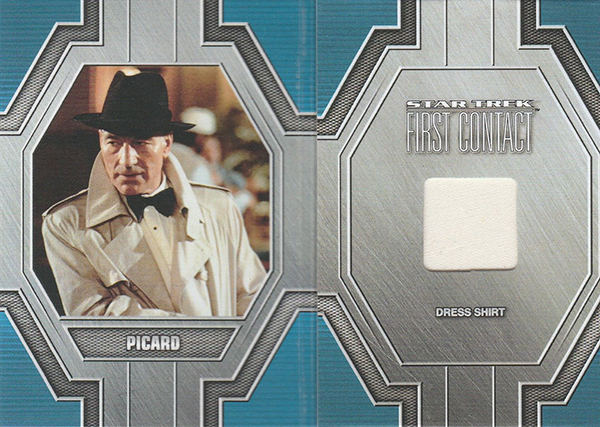 These are the only inserts that come in every box (at least according to the odds). Others are tougher pulls. 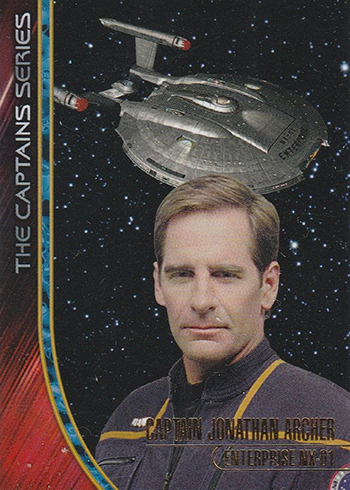 Starfleet Captains (18 cards, 1:48) spotlight not only the main captains from each show, but some of the others that graced the screen over the years. 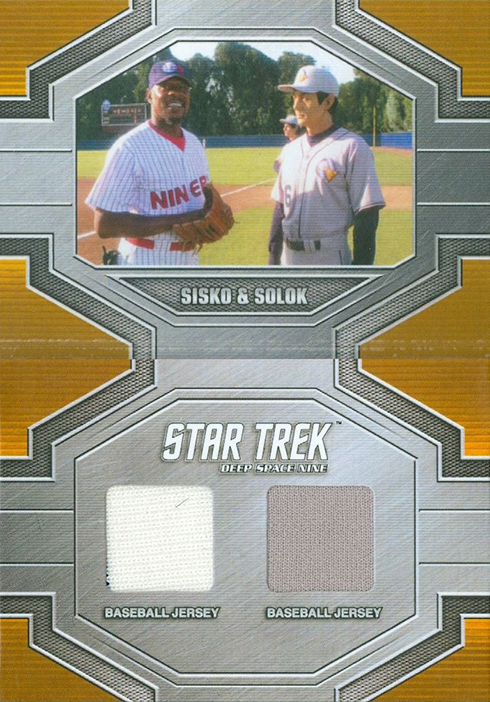 Tech Evolution (nine cards, 1:96) charts how technology like tricorders and phasers changed over the years and shows. 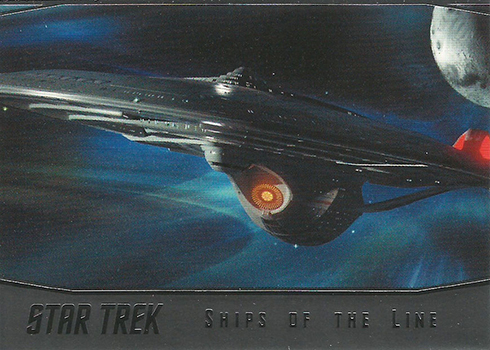 Ships of the Line (nine cards, 1:96) depicts the various versions of the iconic U.S.S. Enterprise as well as other important ships from the franchise. 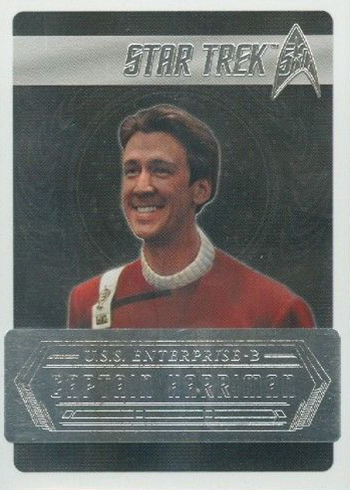 While Starfleet Captains, Tech Evolution and Ships of the Line are tougher to pull that Heroes and ArtiFEX, if you work out how many packs it takes to complete a set, individual Captains and Ships cards are actually a little more common. 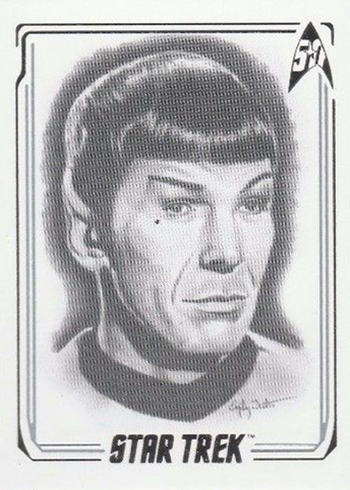 On the ultra-rare side are Star Trek Phaser Cut cards, which land 1:288 packs. These cover five captains and five first officers from the television shows in a mysterious format that hasn’t been used in a Trek set before. Commemorative Stamp cards are among the toughest pulls in the product. Although there are only four in the set, one lands every other case. Sold separately, a binder comes with an exclusive promo card. E10 exclusive to Rittenhouse Rewards program. 1 card. Inserted as a case topper. 1 card. Distributed as a nine-case incentive. 1 card. Distributed as a six-case incentive. Looks like alot of chase cards ! This is a prime example of why I quit collecting cards. Too many chase cards that make it impossible to collect them all unless you’re a millionaire. I enjoyed card collecting when it was just a set of cards with a few chase cards or stickers that could be completed with just the purchase of one or two boxes. These card companies took the enjoyment right out of the hobby. Too bad.